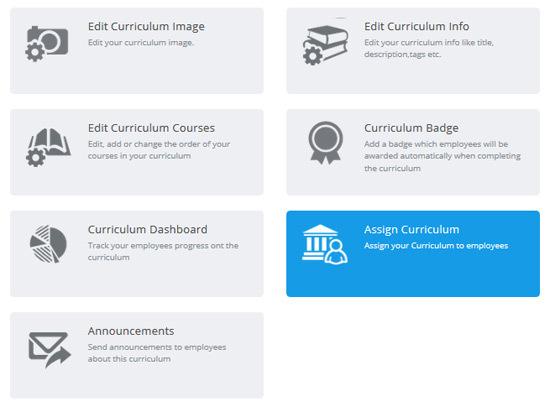 You can assign a Curriculum to employees either by clicking on Assign in the Curriculum Card. 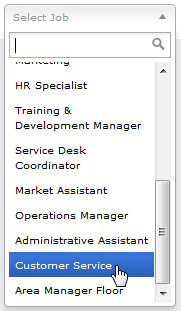 Alternative you can assign a Curriculum by clicking Assign Curriculum in the Curriculum's Administration Panel. 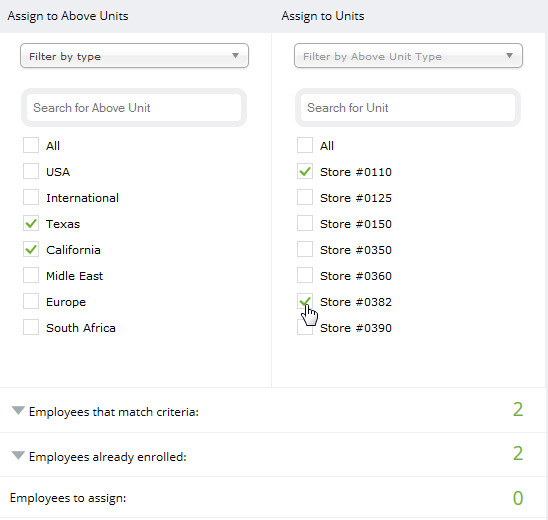 To assign an individual to this curriculum, simply click the Plus symbol beside their name in the left-hand column. Their name will then appear in the right-hand Selected column. 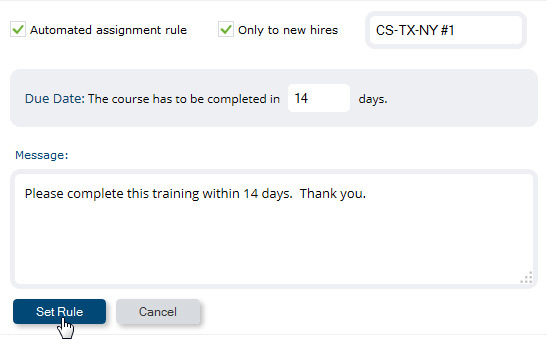 You have the choice of either assigning this curriculum to this group this one time, and/or setting up a rule that will automatically assign individuals under these parameters in the future.